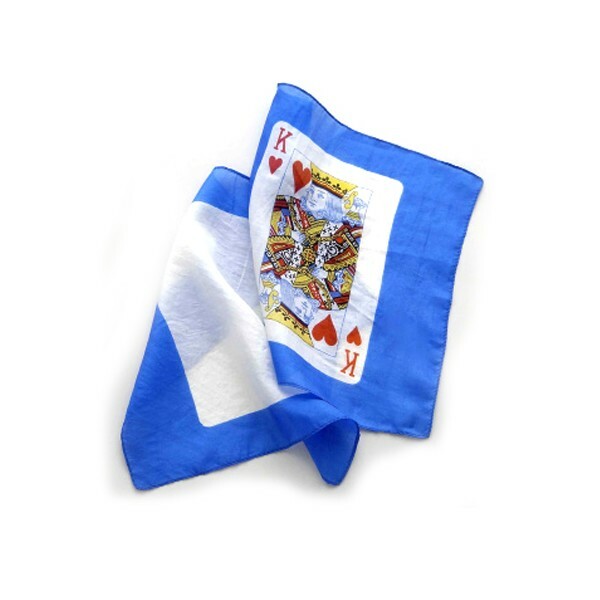 This is a comprised of a pair of miniature (about 8" square) fine quality silks, one with a picture of a blank card and one of a playing card, design on a blue background. This is a comprised of a pair of miniature (about 8" square) fine quality silks, one with a picture of a blank card and one of a playing card, design on a blue background. The fine quality and small size will enable you to easily conceal either of the silks in a thumb tip. There are several ways to use this pair of silks, for some offbeat "extra" to your card routines, and we give some ideas with the silks to start you off. Set of 2 silks and instructions.